I so badly want to be faithful! 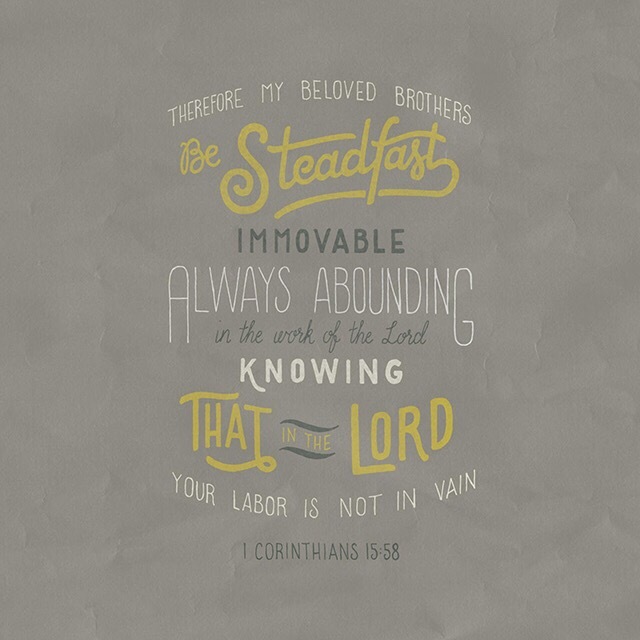 To stand firm in Him…to be unmoveable. I realize that I cannot do it alone. I desperately need Him! I have to be rooted and grounded in Him. It’s only in Him that I can stand firm! Let’s remain faithful. Faithful in prayer. Faithful to His Word. Faithful to the calling He has placed on our lives. If we devote ourselves whole heartedly to Him, our lives will have significant meaning! Our labor will NOT be in vain. This race is ours to win. We just have to stay focused on the PRIZE…Jesus Christ!